NICE LOOKING CADI. WITH FACTORY NAVIGATION SYSTEM. TWO OWNER CAR. (((( CARFAX IS CLEAN )))). RUNS AND DRIVES VERY GOOD. 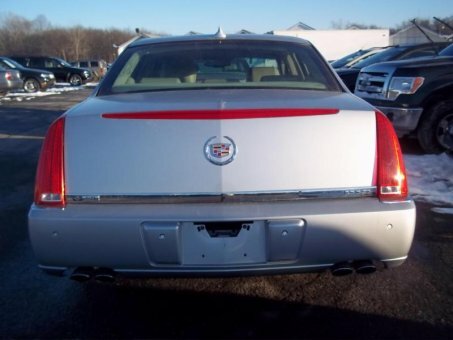 THIS CAR WAS SERVICED ALL THE TIME BY MCGUIRE CADILLAC AND THEIR OWN SERVICE FACILITY. ALL HWY MILE,PRIOR LIMO.DO NOT LET THE MILES FOOL YOU THIS IS A GREAT RUNNING CAR. AUTO/NAVIGATION/LEATHER SEATS/SUNROOF/HEATED SEATS/COLD AC/POWER SEATS/ALLOY WHEELS/REAR AND FRONT SENSORS/POWER WINDOWS,LOCKS AND MIRRORS/AND LOT MORE. GOOD TIRES TAKE A LOOK AT THE PIC'S. DRIVER SIDE CARPET STAINED NEED A CLEAN UP SEE PIC'S. BUMPERS CHIPS&SCRATCHES SEE PIC'S. NORMAL WEAR AND TEAR. A FEW CHIPS,DINGS&LIT SCRATCHES SEE PIC'S. CLEAN CAR INSIDE/OUT. YOU WILL BE VERY HAPPY WITH THIS CAR.